Recently I have been trying out some of the excellent digital radio modes.To get started all you need is a mic. from your P.C. 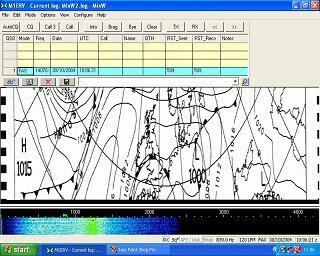 sound card to the speaker of a SSB receiver!You can also receive FAX and PSK 31 using this method.